Lock in a great price for Super 8 by Wyndham 100 Mile House – rated 8.6 by recent guests! Great continental breakfast. We'll stay there again. Beds were very comfortable! Staff was excellent! Breakfast bar had a great selection. The staff is very accommodating. We booked our room and requested a ground level room last minute; they had no problem arranging for us to be on the ground to make things more accessible for us. That was great! The breakfast was excellent and hearty. The room was clean, well appointed and comfortable. The beds were excellent, so comfy. The staff were very friendly & helpful. 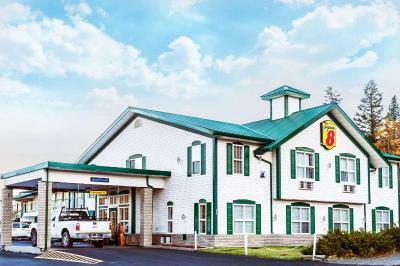 Super 8 by Wyndham 100 Mile House This rating is a reflection of how the property compares to the industry standard when it comes to price, facilities and services available. It's based on a self-evaluation by the property. Use this rating to help choose your stay! Located off Highway 97, this One Hundred Mile House, British Columbia hotel offers a daily continental breakfast and rooms with free Wi-Fi and a cable TV. Marmot Ridge Golf Course is 1.6 miles away. A coffee maker and fridge are provided in all rooms at the Super 8 One Hundred Mile House. Each room features simple décor and includes a hairdryer and telephone. The front desk staff at this hotel is available 24 hours a day. Free on-site parking is provided. The Crutchley James Hiking Train is just 2.4 miles from the One Hundred Mile House Super 8. Exeter Lake is a 10-minute drive away. This property is also rated for the best value in One Hundred Mile House! Guests are getting more for their money when compared to other properties in this city. 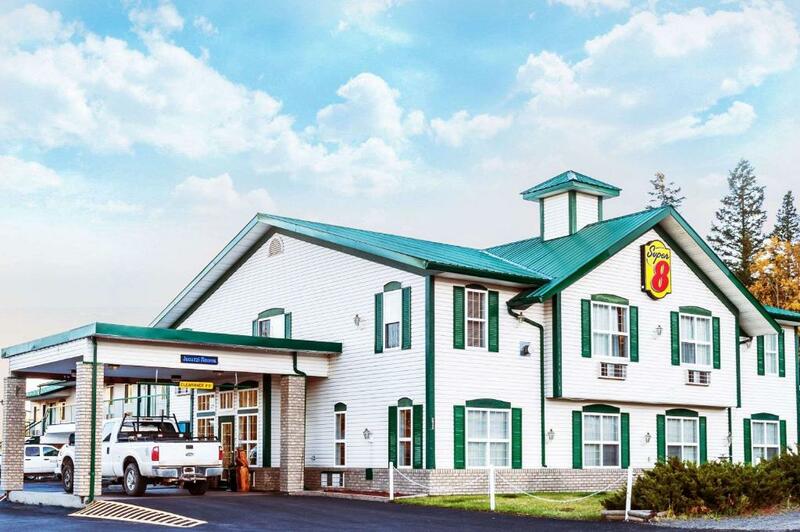 When would you like to stay at Super 8 by Wyndham 100 Mile House? This quadruple room has a private entrance, oven and kitchenware. This quadruple room features a tea/coffee maker, private entrance and microwave. This quadruple room has a cable TV, private entrance and tea/coffee maker. This double room features a tea/coffee maker, microwave and flat-screen TV. This suite has a hot tub, air conditioning and microwave. House Rules Super 8 by Wyndham 100 Mile House takes special requests – add in the next step! Free! Up to two children under 14 years stay free of charge when using existing beds. Super 8 by Wyndham 100 Mile House accepts these cards and reserves the right to temporarily hold an amount prior to arrival. A slight problem with the waffle machine but that got fixed. Convenient location. Have stayed here before. I didnt like the stairs. But that's me. The parking was quite icy and parts of the sidewalk were quite slippery at our time of arrival. I think that's something that's super important to keep on top of, especially for people with young children or a disability/injury.